Do you want a steady flow of leads coming into your funnel so you can close a solid number of sales on a regular basis? Of course, you do! But, to do that, you need a well-thought-out sales funnel strategy to attract those ideal customers of yours. After all, as an entrepreneur, your job is to take them on a journey. A journey that starts with them learning you even exist, and ends with them becoming repeat customers. It’s no small task to create. But, it doesn’t have to be overwhelming. When you break down the sales process into easy-to-remember steps, it becomes much more manageable. So, to help you earn some serious conversions, I’ve compiled my favorite marketing tactics you can use to guide your people through each and every step of the funnel. 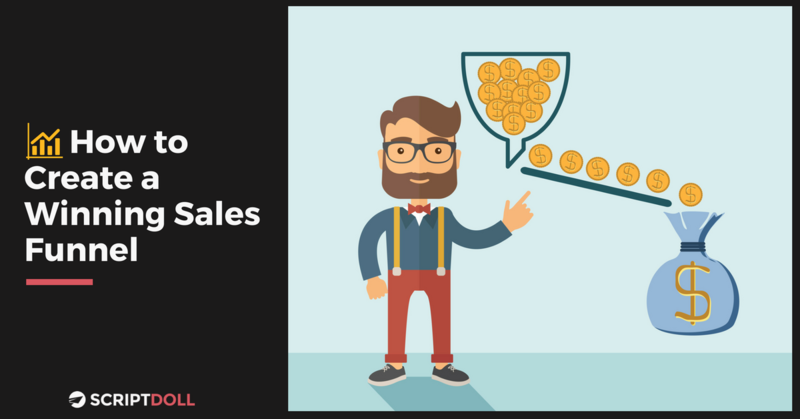 And, before you start working too hard to put these tactics to use in your sales funnel, it’s critical you know your ideal customer so you can lure in the right kind of leads from the get-go. Therefore, I’m offering you a FREE copy of my Ideal Customer Worksheet to help you identify who they are and where to find them. All you need to do is enter your email into the box on the right-hand side of this page, and it’s yours. Do you have any sales funnel best practices? Leave them for me in the comments below.